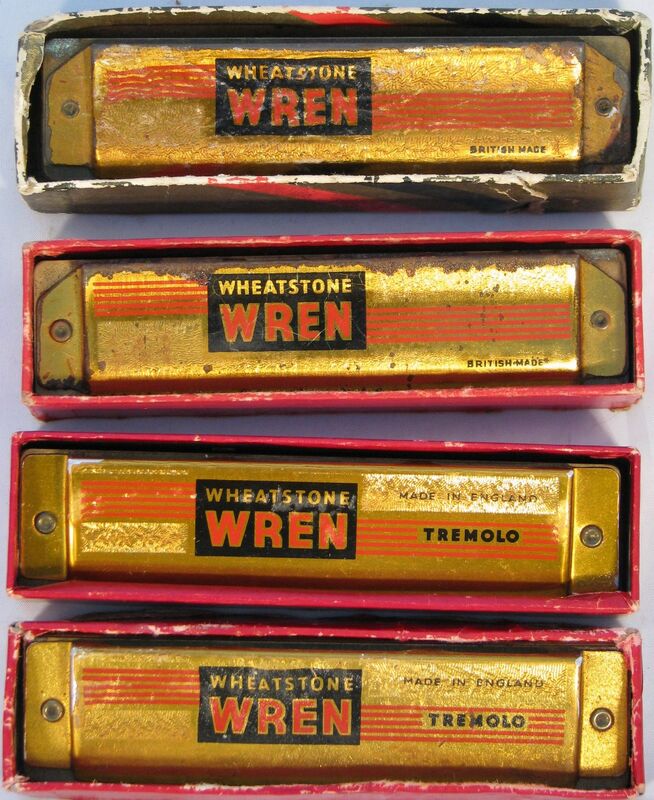 Full Description: Four “Wheatstone Wren” Mouth Organs, one of the first instruments permitted to be made by Wheatstone’s as the restrictions on non-war-related manufactures began to be relaxed after the war. 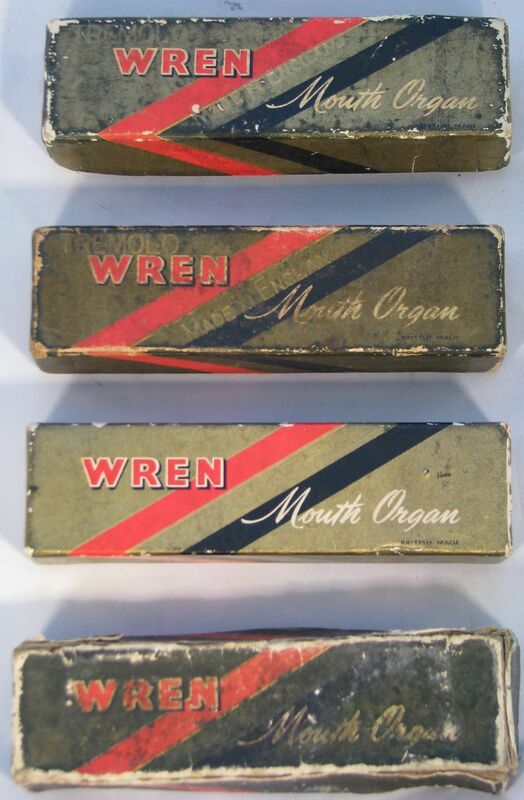 Two are labelled “tremolo”, and all are labelled either “British Made” or “English Make”, with “C Wheatstone & Co Ltd. London England Key C” on the end of the cases. They are printed on the metal in gold and red painted designs.